The WAG Award is back! Ever wonder why a state the size of Georgia would have 159 counties? California, which is THREE times as big, only has 58. So why 159 for Georgia? Some people say it's to provide a more fertile environment for, um, "local politics." Others say it's so that every person in the state could go by mule from his home to the county seat and back in one day. We think not. We think that, in a moment of clairvoyant foreknowledge, our state leaders knew that Ham Radio operators of the future would appreciate a challenge, and structured the present administrative nightmare solely for the benefit of our hobby! 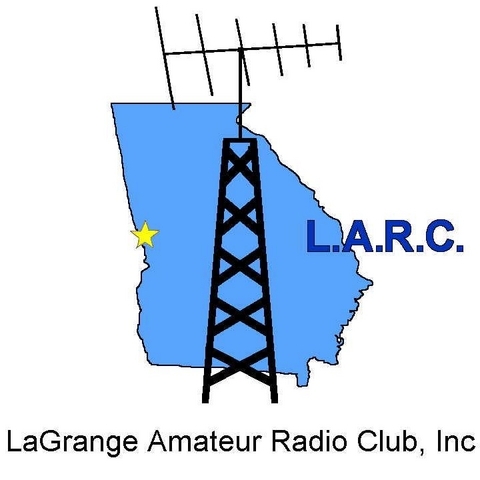 The LaGrange Amateur Radio Club, with the support of the Georgia Section of the ARRL, is proud to support the "Worked All Georgia" Award. The WAG Award is open to radio amateurs who can provide proof of two-way radio amateur radio contact with all 159 counties in the state of Georgia. This award is nice complement to the annual Georgia QSO Party, which in fact would be a good time to work on some of those hard-to-get counties. The award is embodied in a nice certificate. All QSOs must be 2-way using the same mode. No repeater or cross-mode contacts allowed. For the basic award, all contacts must be made from the same "Home QTH." However, to encourage people to get out and drive around, set up their rigs in the deer stand, or take it along in the RV, or whatever, we have a special "ROVER" endorsement. For this endorsement, contacts with Georgia counties count no matter where they were made. Just indicate that on the application form. Applications for the WAG Award Certificate must be submitted on the WAG Award application form, along with a county record sheet showing callsign of station worked, date, time (UTC), band, and mode. The Application Form can be downloaded (Word format) here, or by sending a SASE to the WAG Awards manager listed below. You'll also need the Georgia Counties Checklist, which includes the Georgia QSO Party county abbreviations. Submission of QSL cards is not required. QSOs are to be verified by 2 non-family amateur licensees, General class or higher, signed on the application sheet. eQSLs are acceptable. The WAG Award manager reserves the right to spot-check for validity by contacting the applicant. US "All County" holders can have the above requirement waived by submitting their All County number and award date. Single band applicants must submit a county check sheet. Five-band applicants must fill out a separate application form for each band. Submit your application (MS Word .doc form here), properly verified, to K4EAK at the address below. Thanks for your support and work those Georgia counties!